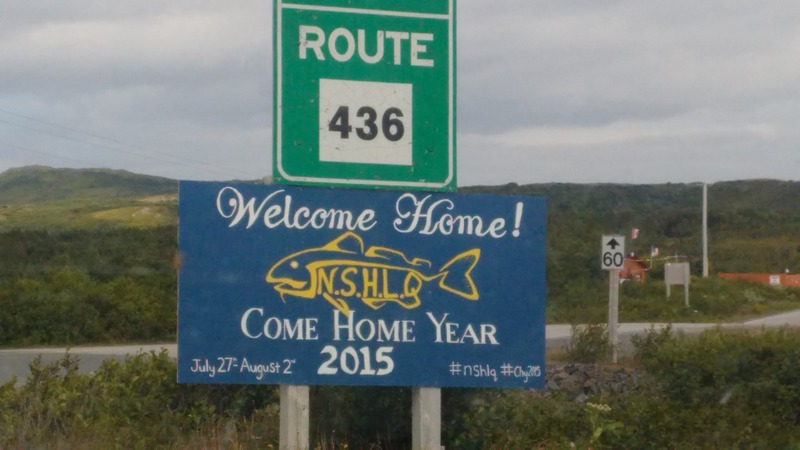 NSHLQ Come Home Year Celebration a Major Achievement – Then, Now & Forever! When communities come together for a common goal on the Great Northern Peninsula anything seems to be possible. I only have to think about the $100,000 Breath of Fresh Air Playground that was established in Cook’s Harbour-Wild Bight-Boat Harbour with three communities of about 200 people. 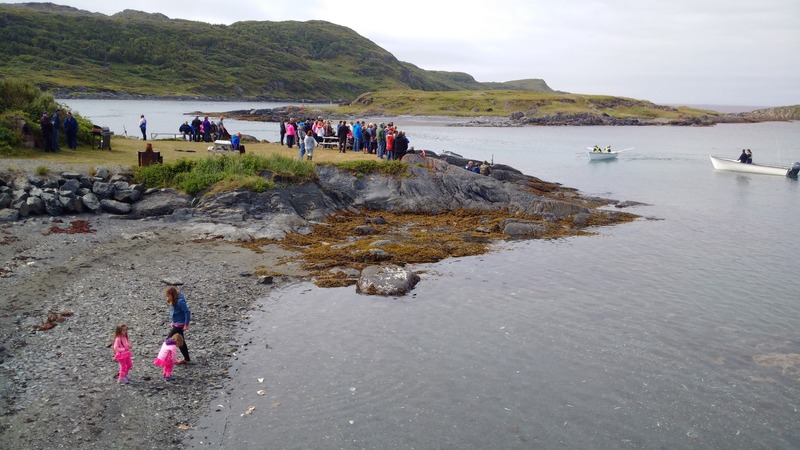 The Noddy Bay-Straitsview-Hay Cove-L’anse aux Meadows-Quirpon Come Home Year Celebration saw five communities all with a total population of less than 300 come together to make something unforgettable happen for residents, those with a connection to this special place and some to make their mark for the very first time. The last Come Home Year was in 1997, it was decided long overdue to host another and this time Quirpon would be added. This inclusion of Quirpon also invigorated interest to save their local hall to allow for events and activities to take place throughout the week. After months and months of planning by a dedicated group of youthful committee members, the day would finally arrive on July 27th and they were certainly ready. Leading up to the event, the Facebook page would keep everyone up to date. A full schedule was also advertised in the local newspaper, the Northern Pen. Not to mention a Twitter hashtag, showing their innovation and adaptation of technology. I was greatly impressed by their organization, what they offered registrants, how they partnered with all their key businesses and community groups to share in the success of this community celebration would bring. There is much strength here – then, now and forever! 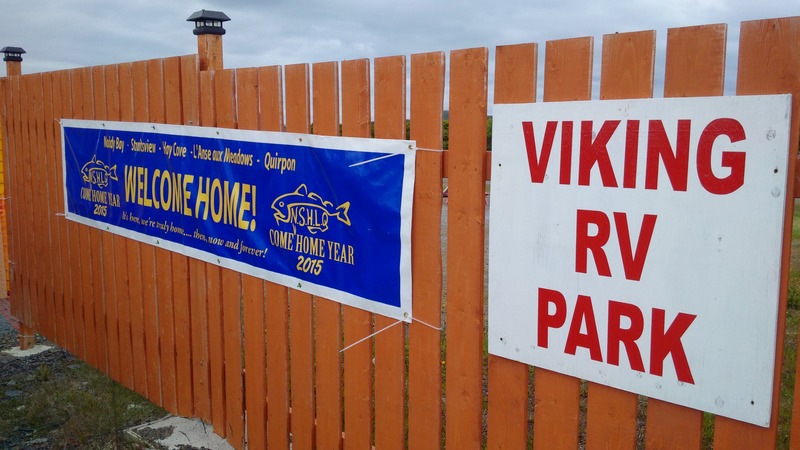 The Viking RV Park would be the primary site of activity throughout the week, with the official opening started after people registered at the fire hall. The crowds flocked, enjoying the weather and meeting those returning home as they fended off the flies. After the speeches, the cafe was cut, music was played by our multi-talented Calvin Blake, Adam Randell and Brandon White, mussels were steamed, faces painted and the mood set for a massive fireworks display. The fireworks display was impressive, it seemed to go on and on and on. There were many awes and an astounding round of applause as the show concluded. A truly successful evening that could not have ended with a bigger bang. Cue the music! The week would follow with fish frys, hikes, coffee shop visits, exercise programs, kids activities, duck races, memorial events, old-fashioned times, kitchen parties, row boat races, family days and so much more! This was no small feat for a small group of organizers, that should great leadership. So many others would step up and give time in a volunteer capacity to ensure all of these activities could happen. I’m amazed by the generosity and community spirit during these Come Home Year celebrations and always look forward to the next. I’m confident Skipper Hot’s band was rocking every night, that many screech-ins were had and the conversations lasted into the early morning hours and likely will continue until the planning of the next Come Home Year celebration begins. Be proud of your major achievement for making big things happen in small communities! 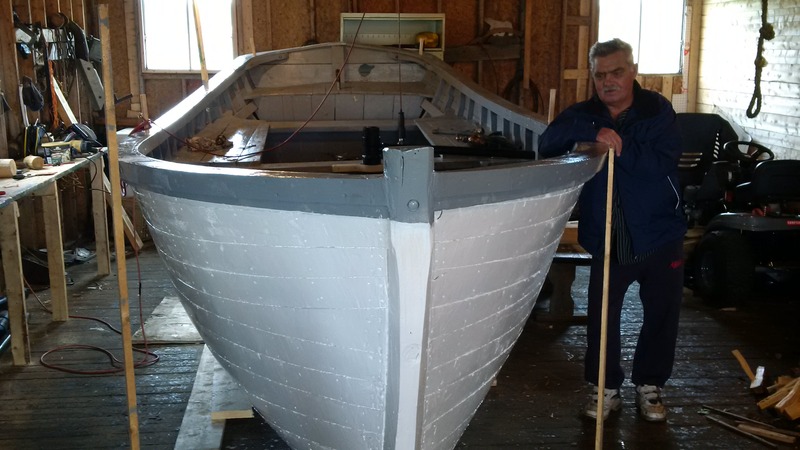 A Labour of Love – Old-Fashioned Motor Boat Built in Noddy Bay! Resident Wes Eddison of Noddy Bay proudly shows me his old-fashioned motor boat, which he has made by his own design and primarily by hand. 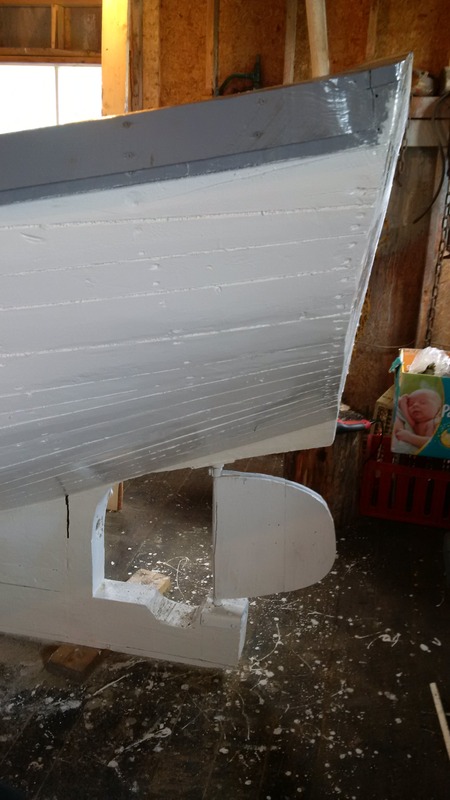 The boat is a result of many weeks of hard labour – a labour of love. Wes is eager to take his old-fashioned motor boat on the water. He was waiting on the shaft to make the appropriate connection to the old-fashion make-and-break motor and the handmade rudder. The boat is certainly not Wes’ first, but at 73 years of age he claims it will be his final creation. A project that started in February is now nearing completion and Wes looks forward to taking everyone out for a ride across the Bay. It takes great talent and skill to craft such a boat. I am always impressed by what our local residents are capable of doing. We must do more to ensure that boat building as a past time and as a way of life does not die in rural Newfoundland and Labrador. We need more people to take up this great trade. Wes Eddison is a prime example of a local resident that exudes what it means to live rural. I hope others will follow his direction and see a renewal in boat building, especially those that model the trap-skiff. I’m from around the Bay, and I throws rocks! Noddy Bay, NL is a beautiful community that loops around both sides of the bay, with houses scattered along the coastline. It is just minutes from L’Anse aux Meadows World UNESCO Heritage Site – The Viking Settlement and always seems to have an abundance of icebergs. The Great Northern Peninsula is a playground for these types of experiences and ability to re-live your youthful days. I encourage you to come and explore the beauty of all things rural. 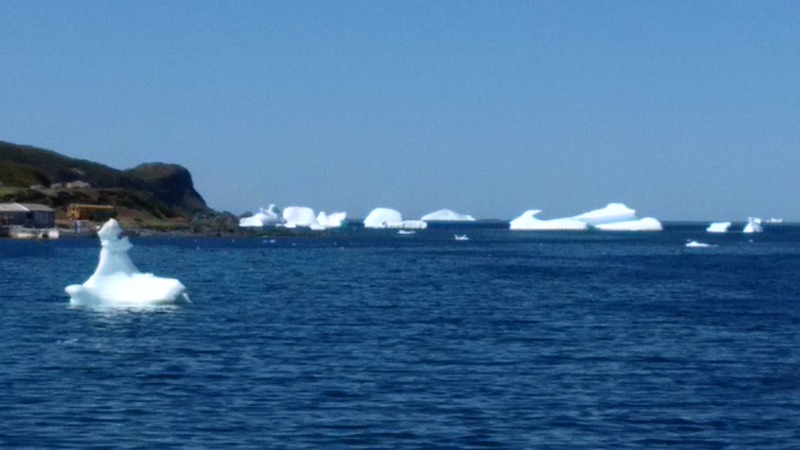 Not to mention all the icebergs hanging out in every nook and cranny of the tip of the Peninsula. So practice your arm swinging so you too can make a big splash when you see this view.